UNS N08904, commonly known as 904L stainless steel, is a low carbon austenitic nickel-chromium stainless steel with additions of Molybdenum and copper. Due to combination of high content of chromium, nickel, molybdenum and copper, Stainless steel 904l exhibits greater resistance to putting and crevice corrosion and to general corrosion to reducing acids. 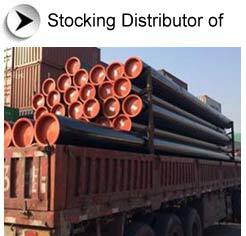 Aesteiron steel tube is one of the stockist, exporter, manufacturer, stock holder and supplier of a qualitative range of Stainless Steel 904L Seamless Pipes. Costs of our SS 904L Pipes are affordable and pocket-friendly. Stainless Steel Cold Drawn 904L Pipes are very much easy to install and remove, and can be available for our clients in different technical specifications of threading and sizes. SS Cold Drawn 904L Pipes are designed as per international and national standard quality of raw materials. Grade 904L stainless steels have excellent resistance to warm sea water and chloride attack. The high resistance of grade 904L against stress corrosion cracking is due to the presence of high amounts of nickel in its composition. Moreover, the addition of copper to these grades develops resistance to sulphuric acid and other reducing agents in both aggressive and mild conditions. Slow speeds and positive feeds will minimize this alloy's tendency to work harden and glaze. Use chip breakers where possible to overcome problems with long draggy chips. Hot work should proceed after uniform heating to 2000-2200 F. Doe not work the material at less than 1800 F. Full annealing should follow any hot work to re attain maximum ductility and corrosion resistance. 1920-1990 F (1050-1090 C), rapid cooling. This alloy does not respond to heat treatment.. It may only be hardened by cold reduction.